The term "hero" comes from the ancient Greeks. For them, a hero was a mortal who had done something so far beyond the normal scope of human experience that he left an immortal memory behind him when he died, and thus received worship like that due the gods… Originally, heroes were not necessarily good, but they were always extraordinary; to be a hero was to expand people's sense of what was possible for a human being. Today, it is much harder to detach the concept of heroism from morality; we only call heroes those whom we admire and wish to emulate. But still the concept retains that original link to possibility. We need heroes first and foremost because our heroes help define the limits of our aspirations. The Heroes Project consists of 17 works on canvas, each honoring a person that I truly admire and who has deeply inspired me throughout my life. 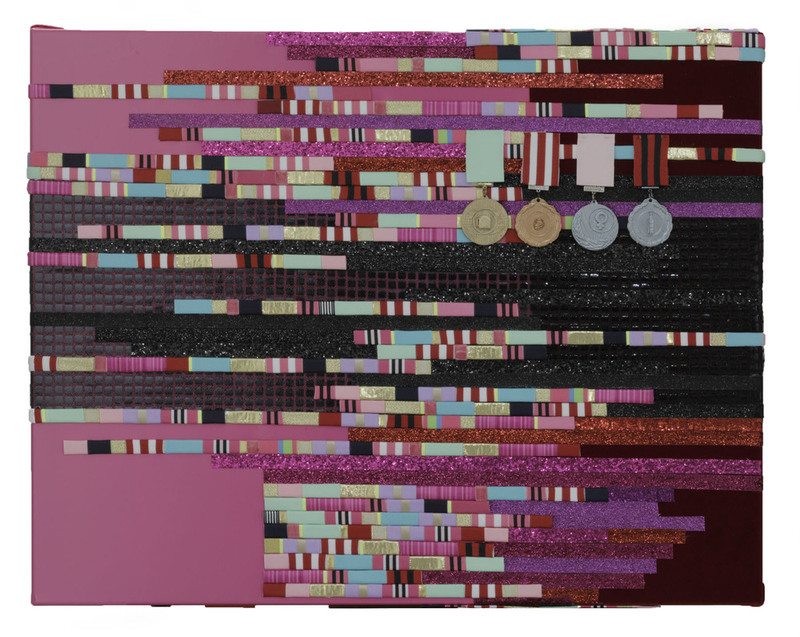 Utilizing pleather, velvet, glitter strips, painted metal and grosgrain ribbons, I have created colorful, large-scale tributes to my personal heroes. 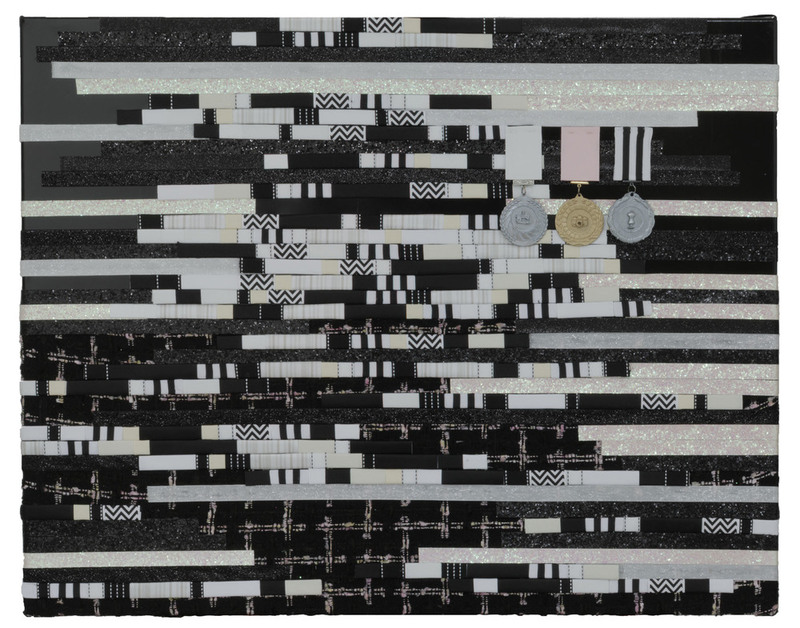 Each canvas, emblazoned with mock military decorations and medals, uniquely honors my heroes, and as such, the series is an amalgamated portrait of my ideal self.